32 Days away CAN YOU FEEL IT?! Destiny 2 is right around the corner and with the recent news coming out of Zod stepping down due to his health i thought it was the perfect time to address the State of xAllegiancex and the direction we are going heading into Destiny 2. So here today let me address the Many things that might be on the mind of this community. First off this is emotional for me to type out however i feel like it needs to be addressed by myself and my position within the community. The step down of General Zod definitely hurts me from a personal perspective. It hurts because Zod has been a key piece in getting xAllegiancex to where it is today. I envisioned Zod being by my side as xAx becomes the premiere community that Destiny has to offer and i knew things weren't good when he couldn't join us for Guardian Con. Zod has been doing everything he can to stay in this position for a very long while and we have tag teamed a lot of thing over the last 6 or 7 months as he has been going through these health related things in order for him to stay within the role. As his situation has not improved it was time for Zod to focus on himself and he realized it when he came to me asking for a transitional gameplan so he could focus on himself and getting back to 100% health wise so he not only could have a nice long healthy life from a personal perspective but also from within this community. As heartbreaking as it was for me to have that conversation with Zod i also completely understood why this needed to happen. I have a nice little surprise for zod i'm working on for all the hard work and effort he has put in that i will share with all of you once it has arrived hoever for now all i can do is say thank you to the man who has put everything into running the day to day operations of xAllegiancex. As Sucky as it is for losing General Zod within this role it has also opened up an opportunity for one of our Blue Names to take the next step in their growth within the community. Safe to say it was tough deciding who would take that next step up however ultimately the individually that was chosen i truly have 100% faith will do an incredible job in the New Role of Director of Operations. That individual is Mcnulty. In the few months mcnulty has taken over the East not only has it grown exponentially but a fantastic Ambassador was identified in Denullify and the growth numbers have been nothing short of impressive. With a strong AIT candidate read yto take the next step up and a need for a DoO and a strong Ambassador standing out it was a no brainer to ascend Mcnulty into the gray. Now everyone knows Zod has some extremely big shoes to fill however i know mcnulty will do his best to put his own stamp in the directional operations of xAx and mold what our vision is to how xAx is ran operationally. as sad as i am for Zods departure out of the role i'm just as excited for the opportunity to see mcnulty grow and rise to the occasion. I have full confidence in Mcnulty and all of xAllegiancex should feel like they are in good hands with him taking over the role effective monday. As some of you already know, and for those that do not several weeks ago the majority of the leadership team on the XBox side decided to break away from xAllegiancex and start their own adventures of building a community. we wish them the best as the break off was a respectful one and i have no ill will feelings to those that did leave. with that being said it has put the XBox side in a bit of a pickle relative to activity. the New leadership team on that side has since been rebuilt with the ascension of DeliveredMocha into the Ambassador role and TPaz into the AIT Role. These guys are awesome and were apart of the handful of Admins that decided to stay due to their love of xAllegiancex and what we stand for as a community. 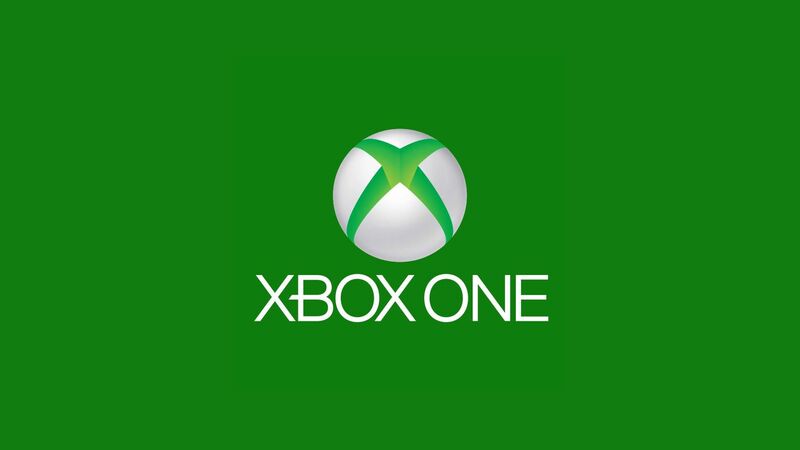 they are hungry to identify new Administrator talent on the xbox side and the leadership team on the xbox side has been working on overdrive to keep the calendar active and provide everythign they can to the member base on that side of the consoles. per data analytics the need for admins is roughly at 5-6 admins needed so not too many however the biggest thing xAx needs is for the XB1 member base to really start using our systems in a more consistent way. A message to the entire XB1 member base has already been sent and it has seemed to spark more activity on the calendar along wit hthe nice injection of new members that have joined the ranks due to the Recruitment contest. Speaking of which there is only 2 weeks to go in that contest and only 1 person has quaified for those awesome prizes! if the other two spots of 2nd and third place aren't filled then that money will just go back into the xAx bank for something else but just so this community knows thats why we did the recruitment contest. to regain health on the XB1 side. for those who have helped with the recruitment (special shoutout to penehoff) thank you. for others that want to help more during this time of need for the green team we ask you to recruit recruit recruit. for the xbox members lookign to help n anyway they can i ask you to use the events calendar and get into those events! The Direction and Vision of xAllegiancex is Simple going into Destiny 2. Provide everything we can to Destiny Players in all aspects of the game. From Competitive to Casual, from Streaming to growing within the game. Over the next few weeks you will see a transitional change of some operational tweaks that will allow our events to have higher percentage completion rates and really allow us to preapre for a strong transition into D2. We have already merged divisions to prepare for in game content and completing it with your fellow clanmates. Also what was identified during During our GuardianCon visit was the massive presence Twitch has and streamers within Destiny and how Streamers can provide ways to help destiny players as well as provide some extra entertainment during those long hours at work or when you just aren't aroudn your console. Hence the strong focus on building up our streamer base with creation of xAx Pro Streamers, a stream team and taking our twitch presence to the next level. we are currently twitch affiliated, our next step is to become twitch partnered. the more we can get our name out there the better our clan can continue to flourish within the Destiny community as a whole. Finally news i know many of you have all been waiting for. Effective August 31st xAllegiancex will be transitioning into a brand new website that will be more professional looking as well as more user friendly to our community. IClanWebsites has been a nice home for us as we have grown, however with that being said we have really outgrown what IClan can provide for us and their template as been more restrictive than convenient as xAx has evolved and grown. therefore xAx invested 4 months ago in getting a more professional looking website as well as have functionalities that arent restrictive to the direction we are going. The basic functionalities will be good to go on August 31st and a full transition of the entire membership team will occur on that day. Driving higher Quality Events for the Members, Aiming for Twitch Partnership, and a Brand New Website with easier functionalities to you, the members. There is only one Community to be Apart of going into Destiny 2, and that is xAllegiancex. Best of luck Zod it was a pleasure getting to play with you bud ! Zod, best of luck in getting back to 100% in your health. I'm here if you need me. Mac, I think you'll do great in the DoO position. I'm here for the clan (not you) if you need me. As a new member I am happy to see strength in leadership and focused direction. It is always sad news losing member (even temporarily). I wish Zod the very best of health. I look forward to being part of aXa for years to come!